We are not born who we are. We are not born with who we are. We are born a collection of attributes and potentials, some of which we will ignore and some of which we will explore. We will discard some and we will gain others. It is this rearrangement of attributes, based entirely on the choices we make and continue to make, that defines who we truly are. 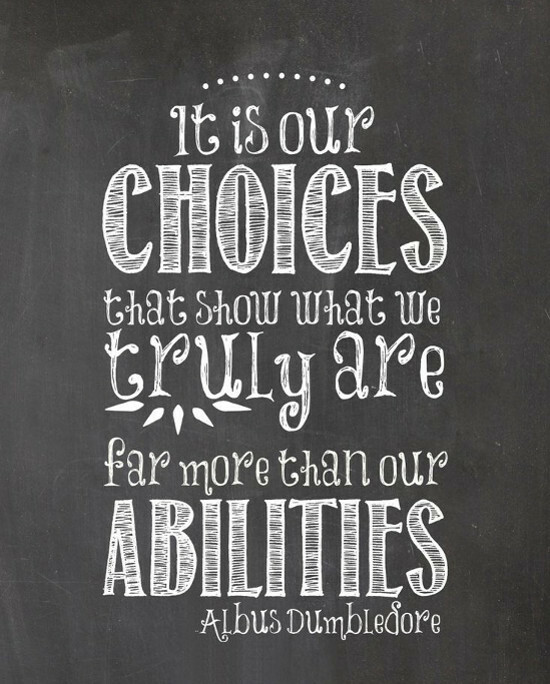 You choices define you.